Hello! 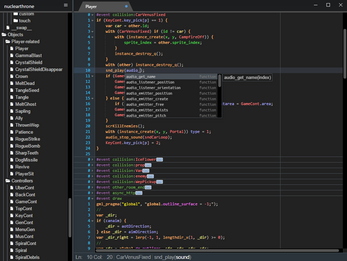 This is a code editor for GameMaker: Studio and GameMaker Studio 2 projects that I've been working on. 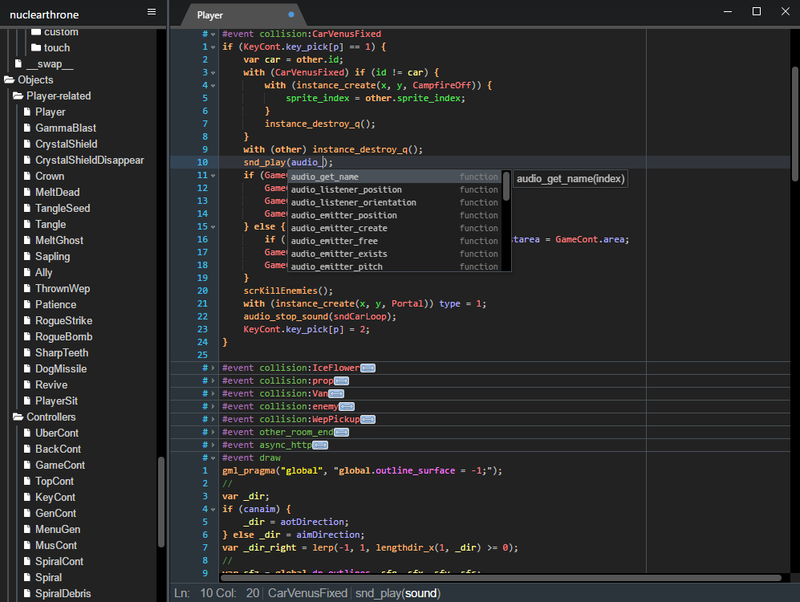 It represents what I consider to be the most important when working with code - being able to edit code quickly and comfortably, with features expected from a modern day code editor and conventional tabbed document design. Feature-complete syntax highlighting and auto-completion on all built-in and user-defined elements (functions, scripts, variables, assets, ...). 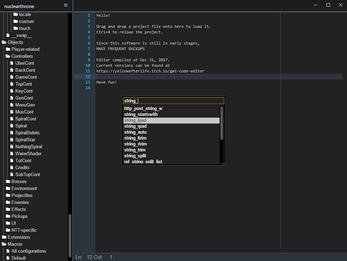 A high-performance code editor (Ace), extended and fine-tuned for GML (including matching keyboard shortcuts). 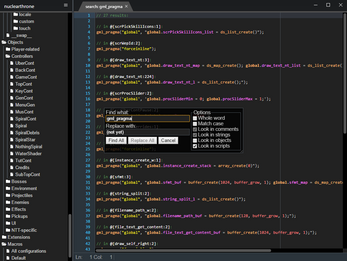 Code folding - fold GMS2 regions, events, comments ("//#region" .. "//#endregion") and code blocks. Memorized between sessions. 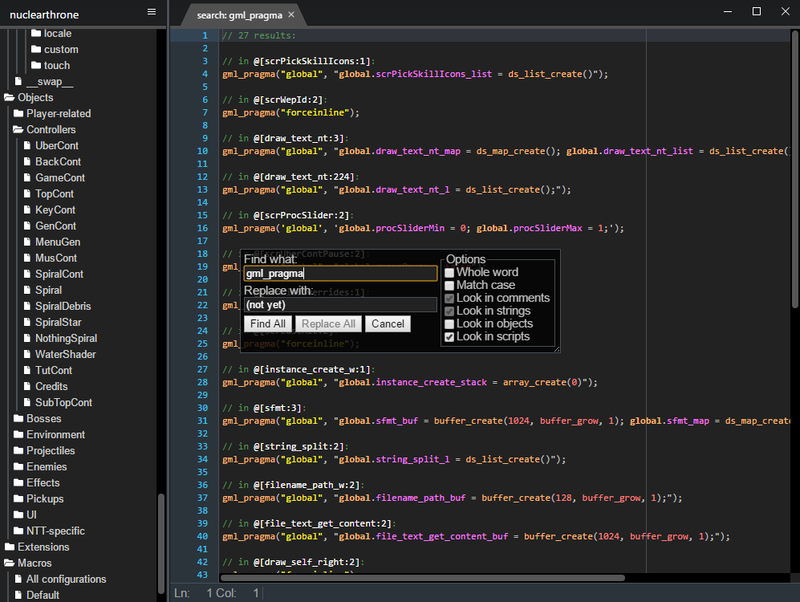 Edit object and timeline code in a combined editor - no need to switch back and forth between tabs/windows. Has methods and lightweight objects. Works carefully - only modifies what you've asked it to modify (by hitting Ctrl+S on a file) and produces binary identical results for version control. Memorizes position in files and projects between sessions. Multiple instances can work with the same project at the same time. Heavily customizable with CSS-based themes and settings. 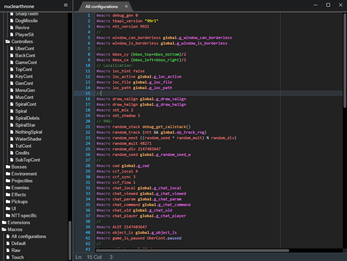 Comes with GMS2-like and GM Classic like themes. 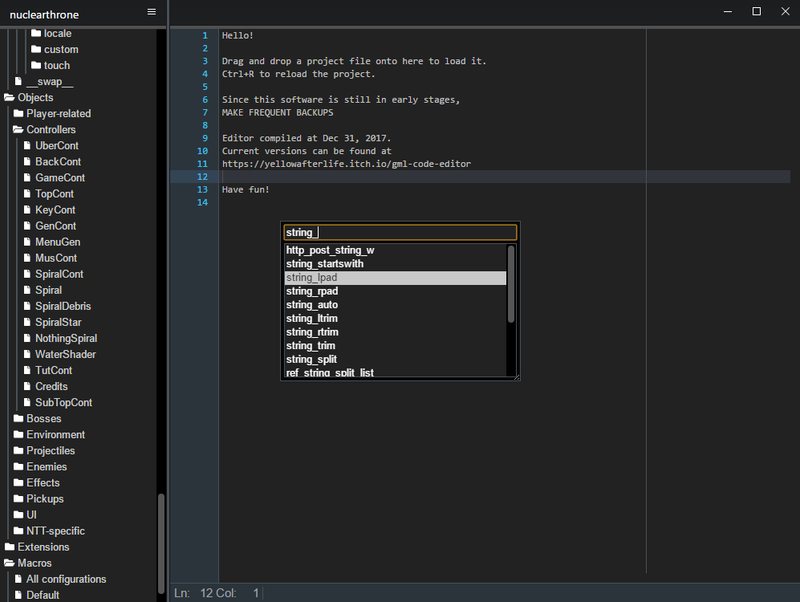 That said, while it can be viewed as a slightly more pleasant alternative to GMS2 code editor, for GMS1 workflow it's a huge step up. Since it only updates the requested files, it allows for far faster workflow with things like GMLive. 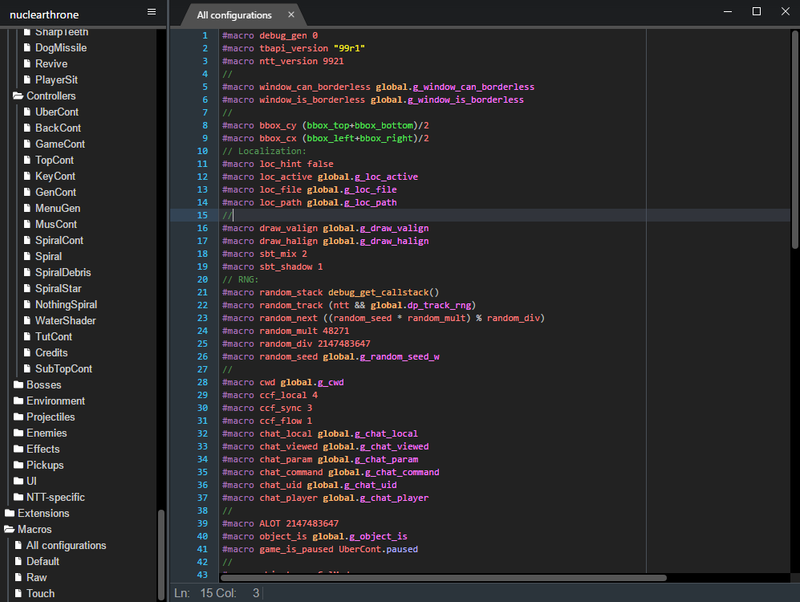 By design it is something that you run alongside with GMS1/GMS2, using the original editor to manage the resources and run the game, and using this editor to edit the code.